I was connected to Margaret's Hope Chest through Amanda Jean's retreat last summer. I am so impressed with the mission of the organization and the two women who run it. Carin and Carol are just the sweetest people ever and it is so inspiring to see how they have turned a family tragedy into an organization that helps so many people in need. Here are the two quilts that I've donated. This is the second year of their Wrapped in Hope campaign, which gives personalized birthday quilts to children who have parents who are in prison. 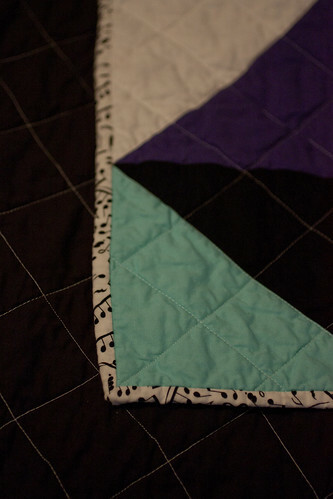 I made this quilt for Alexia who likes black, white, blue, purple and music. I used this pattern from a quilt I made a few years ago in the color scheme she requested and added some Alexander Henry music fabric for the binding. 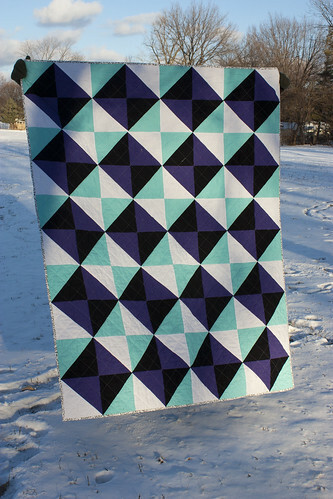 I finished up this quilt in November after having completed the top at the summer retreat. 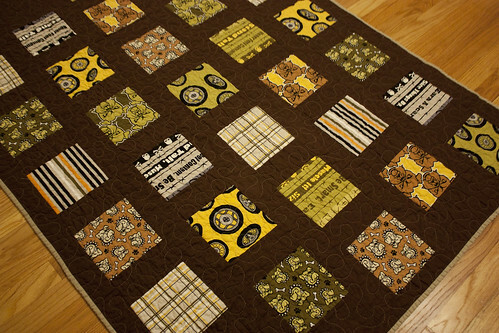 The pattern I used is the Fair and Square pattern that Amanda Jean designed for Margaret's Hope Chest. 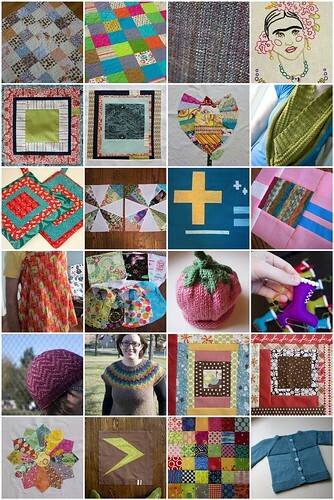 If you're looking for a great charity to donate to and have extra time to make a quilt, please consider making a quilt for MHC. 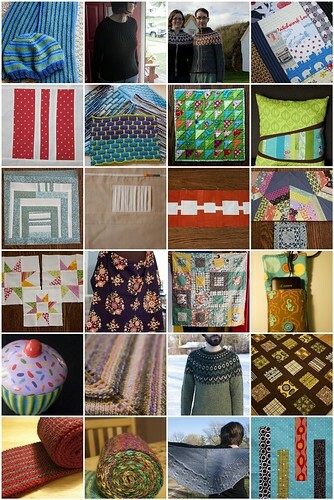 You can find a list of children who have requested birthday quilts here. 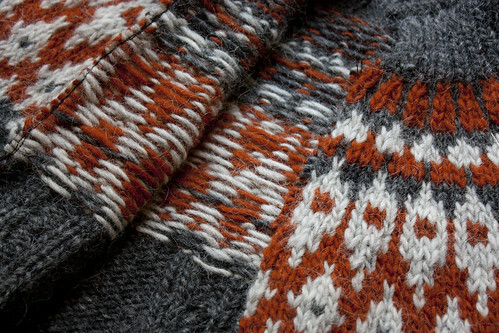 I went on a bit of an Icelandic colorwork knitting kick last year. 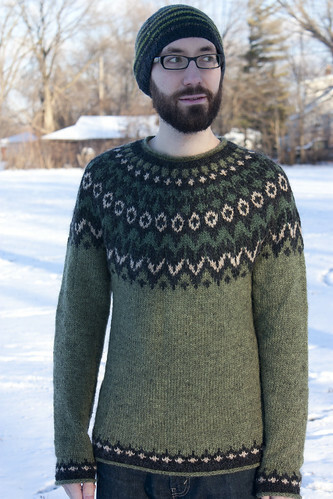 I am now a huge fan of fair isle colorwork because it combines the ease of the knit stitch with the excitement of watching a pattern emerge every row. 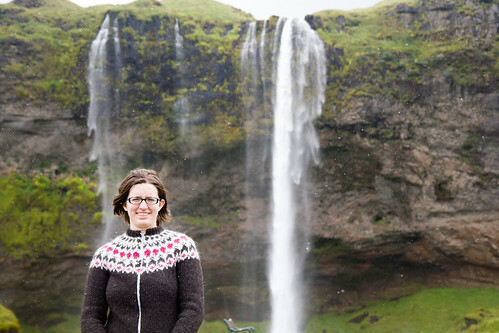 I made these two cardigans before we left for Iceland so that we would have them along for photo ops, of course! 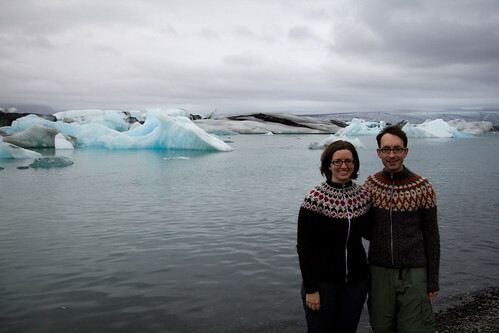 I made these two sweaters with the yarn that I bought while we were in Iceland. Umm...I really don't think I can top 2010's productivity ever again (nor do I want to). This is definitely proof that shopping for craft supplies and engrossing myself in projects are major stress relievers for me. 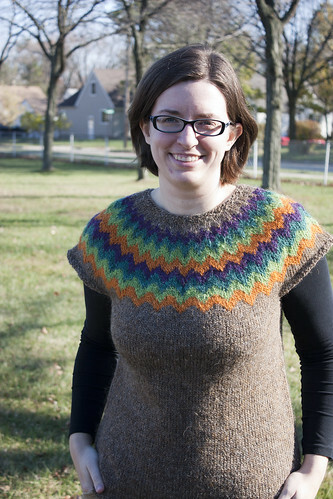 I'm hoping to remedy this by working with only my stash (for real!) this year. 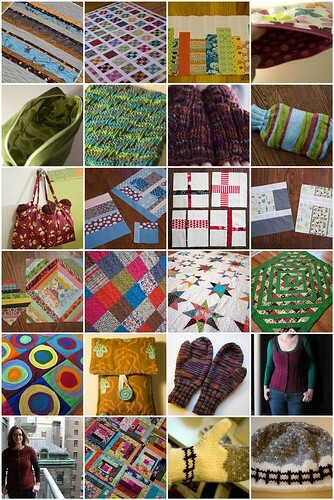 So, here's to a 2011 filled with relaxation, great books, and a handful of knitting and quilting projects! 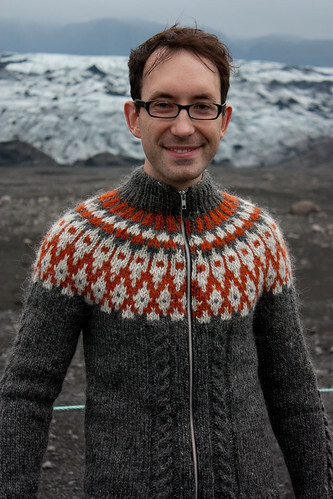 I've been quiet on this blog lately because of a big change in my life. In November, I started my first official paid(!) job as a librarian. For the first time in my post-college working career, I can say that I actually love going to work! Every day at the library is new and different and my job really keeps me on my toes. I'm surrounded by books and people all day and it's the perfect combination of interests for me. To top it off, I got a job at my childhood library, which is the library that inspired me to become a librarian in the first place. 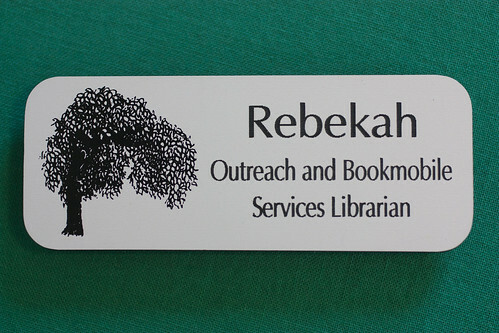 I'm so honored to have been chosen for the position at such a great library in the area! Three years ago around this time, I was just starting my library school journey. I stuck with my unfulfilling day job long enough to get my master's degree (debt free!) and make a career change. While the last few years at my job were grueling and stressful, I'm glad that I made a new goal for myself and accomplished what I set out to do. Yay for much needed life changes!